February 9, 2013, is the date of the second annual Canines, Cats and Cupids, which promises to be even better than last year! Proceeds from this fundraiser will help provide care and comfort for ALL companion animals in Bay County and to support programs established by the Humane Society of Bay County. Mark Torregrossa formerly of TV 25 has agreed to be our Master of Ceremonies again this year. 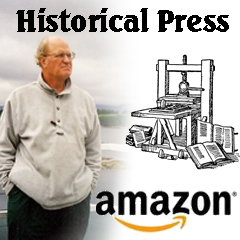 The event will be held at The DoubleTree Hotel and Convention Center in Bay City and will include a buffet dinner and cash bar. The Delta Flute Choir will provide music for your enjoyment. You will have the opportunity to bid on our silent and live auction items, and to be part of a very special evening. This year's entertainment will be a Celebrity-Pet Fashion Show complete with runway, and a panel of some of Bay County's esteemed judges to determine the "Best of Show". The evening will not only be one of philanthropy, but one sure to be filled with laughter. Many of us have owned pets who fill our lives with unconditional love, comfort and joy, and who welcome us home every day. They ask nothing of us but a little attention and affection. We, in turn, gladly provide for their every need. Unfortunately, that is not the case for all animals in Bay County. Many are suffering because of the economy and do not receive proper, even minimal, medical care. The total annual budget for veterinary care at Bay County Animal Control is a mere $1,000 for more than 3,000 animals entering their doors! Also, spaying and neutering, while necessary, are too costly for many pet adopters/owners. Through the HSBC's Outreach Program we receive countless calls from people pleading for help for their animals, and with your financial support, we can increase our response to this pressing need. In the first half of 2012, $17,000 went to animals for their medical care, and $7,000 for animals needing help through our Community Outreach Program. The Humane Society of Bay County has been vigilant in our pursuit of the establishment of Saturday hours at Bay Animal Control so families would be better able to adopt. Our months of attending Bay County Commissioners meetings, turning in petitions signed by over 2,000 residents, and countless letters and contacts have paid off. Animal Control is now open for four hours on Saturday. We envision a "No Kill" Bay County Animal Control Shelter, where ALL adoptable animals find homes. We hope you will join us for this worthwhile evening. On behalf of the animals and the Humane Society of Bay County, we thank you for your care, concern, and support. 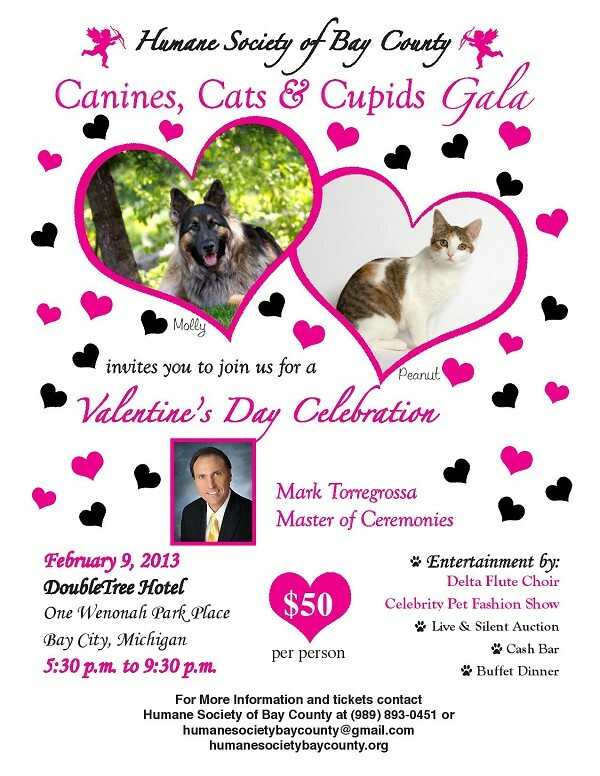 We look forward to your attendance on February 9, 2013, from 5:30 to 10:00 p.m. at The DoubleTree, for Canines, Cats & Cupids.